When I first started to hear about the Adventist Church, there were some parts of the belief system that I struggled with and today I am going to introduce one to you. If you are a Christian, you’ve probably heard the same things that I had heard for most of my life, and yet there is a huge misunderstanding in the teachings. Now, what I am going to introduce is not my interpretation, it is scripture based, and yet most of the major churches seem to have missed it. When a loved one passes away, to help comfort the grieving family and friends, you will often hear the words, “Well he (she) is looking down on you now from Heaven.” While this may be a beautiful thought that our loved ones are in Heaven with God, it unfortunately is not supported by scripture. So a man dies (lies down or sleeps) and does not rise until the day of the Lord. Pretty simple right? End of discussion? Unfortunately not, because of course someone will say that is only a small part of the Bible, and possibly taken out of context it could have been misinterpreted, and that’s absolutely correct, so we must look a little deeper. Why don’t we look at the story of Lazarus in my favourite book, The Gospel According to John. So if this was in modern times, Jesus would have gotten a text or a call on His cell phone telling Him that Lazarus was sick and needed His help. Now most of the time when a person is sick, and you can help, you rush to help, but Jesus didn’t. He continued with what He was doing for two more days before making the trip to see Lazarus. By the time Jesus arrived, Lazarus had been “dead” for four days. But not to Jesus! He said that Lazarus was only sleeping, and went to his grave. He then commanded Lazarus to “come forth” and Lazarus rose from the dead (sleep) and lived again. If Lazarus had died and immediately gone to Heaven, He could not have risen again when Jesus called him. Oh, but you say, he was only sleeping, in fact Jesus said he was only sleeping. And you are correct, except until you delve a little deeper into the meaning of sleeping in the Bible. Hmmm, those who sleeping in Jesus (believers) will rise with Him (Jesus) when He comes again. So if they sleep (or die) believing in Christ then they will go to Heaven. So if we die and don’t go to Heaven right away, where are we? Simple, waiting in our graves for Christ to return and take us to Heaven with Him. So there we are parked in our graves waiting for Jesus to come and take us “home” and all the time we are hanging out as ghosts and haunting the places we used to frequent right? Sorry, thats not happening either. Ghosts are a myth and have no substance (both figeratively and literally) in fact. Jesus is speaking to the thief on the cross next to Him and told him that he would join Jesus in Paradise. Now there are two major issues with this being interpreted as Jesus saying the thief would join Him in Heaven today. Firstly, when Christ died on the cross, He didn’t ascend to Heaven. His assent to Heaven didn’t occur until 50 days following His ressurrection (on Pentacost). So if Christ didn’t ascent to Heaven today then the thief couldn’t join Him today! Now Jesus is speaking in the moment and assuring the thief that he will be in Heaven with His saviour, at the appointed time. Now, please remember, that it is not my purpose to steer you in any manner, my purpose is to educate you and to entice you to explore the scriptures for the proofs you need for yourself. And as always, I welcome any and all comments. God Bless until next time. Fascinating! Thank you for these wonderful insights. As a Latter-day Saint (LDS), we share many of these same beliefs that, as you have shown, are based on scripture. 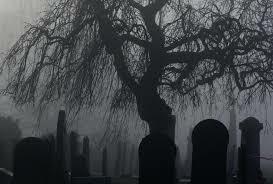 However, we don’t necessarily believe that the spirit of a person remains in the grave as does the body. We believe in a interim place between mortality and what you have termed as Heaven called the Spirit World that is divided in two states of being: paradise (for those who died in Jesus Christ), and prison (for those who died in sin or without a knowledge of Jesus). And this spirit world is here on earth. Christ’s spirit, when he died did not remain in the tomb, but according to Peter went and preached to the spirits in prison (1 Peter 3:18-20). The preaching of the gospel continues on the other side to those who have not yet had the chance to know and accept Jesus, and we vicariously perform required gospel ordinances such as baptism for these, our ancestors on the other side as Paul speaks about in 1 Corinthians 15, so that all can have an opportunity to obtain the highest degree of salvation and exaltation. Thanks for your comment and while I respect your opinions they’re not in line with what I understand from the Bible. John 14:6 Tells us “Jesus saith unto him, I am the way, the truth, and the life: no man cometh unto the Father, but by me.” Therefore once we die, our opportunity to reach Heaven has passed. Our family cannot help us at that point. Ecclesiastes 9:5 reads “For the living know that they shall die: but the dead know not any thing, neither have they any more a reward; for the memory of them is forgotten.” So there is no chance of reward after death. While the SDA and LDS churches share many similarities, we also share differences. But the most important thing is to worship God and to bring others to Jesus. I do commend you on doing a great job on Shiny Side Up. I just want to mention one thing on this subject. I have friends and family that support the idea that their loved one is in Heaven. Because for example, my niece recently died, and members of her family have said that she has come to visit them and said how she has been with past loved ones, and how beautiful it is in Heaven and how happy she is. Now this seems to be very strong evidence That in fact they are in Heaven. The thing is Satan and his demons can impersonate anyone and know secret things that he uses to convince that he is my niece, or anyone else. Satan is doing everything in his power to to steer us away from Gods holy word. It might hurt to tell an image of my dear husband to be gone, but I will not be fooled, I know Vernon is sleeping in the grave waiting for Jesus to wake him. People’s ideas about Heaven have been twisted for centuries, but especially over the last number of years by the media and internet. We MUST use scripture to build our ideas and truths about God and our futures. Satan is working on all of us and twisting the truths in every way possible. We must continue to stay strong.